Losing weight will make you look and feel amazing. But losing weight can be one of the most challenging goals to accomplish. To lose those pounds you need everything going for you. Right down to the best scale. To give you the best chance at losing weight you should; choose your weight loss goal, write it down, keep the goal visible and track it. Use the best scale for your weight loss and then enjoy the results! Although any scale can help you monitor your weight, today’s technology provides the chance for more comprehensive data to be obtained. The chart below will help you compare features quickly so you can make the right purchase today. What Is a Weight Loss Scale and Why Do You Need One? Using a scale seems pretty basic, right? Just step onto the scale and you get your weight. That’s good for some basic weight maintenance, but it doesn’t provide the comprehensive look at your daily habits that a modern weight loss scale can provide. How can a scale do more than just record your weight? There are actually quite a few ways that you can get the data you need to make weight loss more successful every day. Through graphics. Modern scales can connect with fitness trackers, including Fitbits, so provide complimentary data that goes with your workouts and lifestyle. This will show you weight trends that correspond with specific decisions to help you make changes that may need to be made. Through environmental monitoring. Sometimes the quality of your environment is what is causing weight to be added on. Modern digital scales can even see how much oxygen is in the atmosphere of your home! Through body composition measurements. Using a safe electrical flow, a measurement of your body fat, hydration, and even your muscle mass can be obtained using a process called Bioelectrical Impedance Analysis. This allows goals to be set that are more effective and weight loss more comprehensive. Why do you need a weight loss scale with these added features? It’s simple: because weight loss becomes a little easier. Dieting is tough. In order to continue get success, you’ve got to see success! When you gain just a little weight, it can be disheartening! With better goals thanks to better information, every day becomes a little easier with this tool. How Do You Find the Best Weight Loss Scales? With so many different makes and models providing weight loss tools to use, it can be a bit overwhelming to just look at product listings. Instead of reading the marketing material of each item, a thorough review of the product will give you a look at all the facts, features, and advantages that you need to know. That’s where our best scale reviews come in and can help! Use them as an aid to find the right scale and you’ll know that you’re making a solid investment! The type of weight loss that you’re pursuing is also important to consider. If you’re trying to slim out some to fit into those pants you love, then being able to monitor your body fat percentages is a good tool for a scale to have. If you feel bloated a lot, then a hydration monitor can help you see if you’re retaining too much water because you’re eating too much sodium or perhaps dehydrating yourself too much every day. Even if you aren’t making dietary changes, however, a weight loss scale can provide you with a number of complimentary benefits with your fitness data. Your weight will trend with certain workouts so you can see where muscle mass is being built, how your weight is affected by a bad night’s sleep, and other periodic factors. What Are the Different Types of Weight Loss Scales? There are a few unique features that you may wish to consider when looking at weight loss scales. Which options are right for you? Bluetooth connectivity. Some scales are able to connect to your smartphone or other synced device to communicate the measurement data that has been obtained. Just load up your app or connect your fitness-monitoring device and get the scale’s data included. WiFi enabled. Some weight loss scales offer WiFi connectivity to a password protected website that will chart measurements over time so you can see trends develop in your lifestyle habits. Interactive product apps. There are even some scales that come with a free app that works on iOS and Android platforms. You take a picture of the scale’s reading using your camera and a barcode scanner. This data is then transferred to the app, which allows you to see your trends even if you don’t have an Internet connection. Even if you don’t want these advanced features, it is important to consider the various ways a scale can measure your body composition data. Use the reviews that you’ll find right here to see the facts that you’ll need to know about each scale to make sure it can give you the best weight loss tools you’ll need for continuing success. What Are the Prices of a Weight Loss Scale Today? The best weight loss scales for most households are going to cost around $40-$50. Scales in this price range typically have a number of body composition monitoring features and can store data for more than one user – sometimes up to 9 users! Entry-level models are generally about 20% lower than this average price and will provide some basic body composition monitoring in addition to providing an accurate weight. For weight loss scales that provide access to apps through WiFi or Bluetooth connectivity, there is as much as a 50% premium above this average price. The data with these top-of-the-line models, however, is much more comprehensive and useful. Powered with 4 AA batteries and weighing less than 5 pounds, this scale is designed to be a tool to help you keep track of your weight on a daily basis so you can develop healthier eating habits. For further encouragement, a weight loss tape is included with your purchase of this scale to help track inches that are lost over time. It is auto calibrated so that you never need to worry about it and it will automatically power off and the top of the scale is made from tempered glass that is 8 millimetres thick so you won’t have to worry about the moisture of a bathroom degrading the unit. It’s a definite value buy! Unlike most other scales on the market today, this Weight Watchers scales actually reads pounds to the nearest one-tenth of a pound instead of the nearest 0.2-pound. This gives you a highly accurate result that can show you even the smallest of gains that you have made, helping you to keep making those positive eating choices! It is of the classic tap-on design, however, so remember to activate the scale before stepping onto it, otherwise you’ll get an error reading. The best feature of this particular Conair model is that it can track the specific information that anyone needs for weight loss success. You can enter in your goal weights for up to 4 different users and then let the scale track your starting weight and what your last weight happened to be and then compare them to your end goals. It measures accurately up to 380 pounds and will give you readouts that go down to 50g or 1/10 of a pound for even greater accuracy! The primary advantage that you’ll receive with this product is simply the information that it is able to provide. Because the data is more comprehensive than most other similar products on the market today, you’ll know more about what your body needs and what you need to change. A simple scale that measures weight can’t do the same thing. As for the product itself, there are some limitations to it. If you’re sweating or running a fever, it won’t be accurate. For individuals who skew their BMI because of a larger muscle mass, this product isn’t going to be as accurate either. 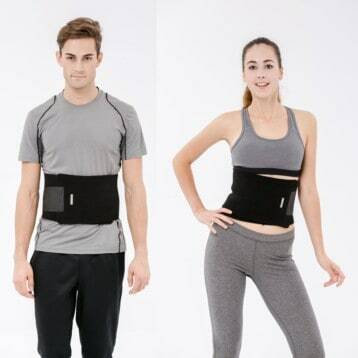 Packed with features, however, it receives our recommendation today because it easily one of the best weight loss scales that is currently available. The ease of use that comes with the EatSmart precision tracking scale is its true advantage. Once you take this scale out of its box, you can use it within seconds. You don’t have to fiddle around with any strange settings or connections. 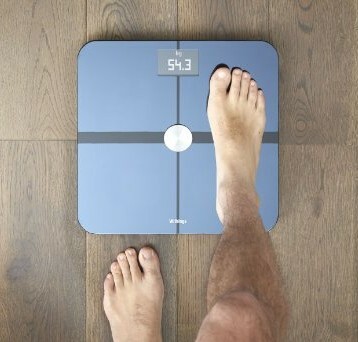 You just put the scale on the floor after receiving it, step onto it, and you’ll find out how much you weigh. Simple! If you’re in the market for a new scale and you want some upgraded digital features, then this EatSmart tracking scale will solve the problems you may have. It works consistently and is highly affordable, making it one of the best scales that can be purchased right now. We really love the fact that there’s a 5-year warranty that comes with this scale, as well as a 100% satisfaction guarantee. If you don’t like how it feels or if you feel like it just isn’t providing accurate results, then just return it without any questions asked. We do wish there was some way to add Bluetooth or maybe a WiFi connection to this scale to help make it easier to track data. You’ve got to have a barcode scanner on your camera and then the app for the scale will read the data on the screen and then log it into the graphs. If you want the full doctor’s office experience in your home, then the Seca 700 is going to provide that for you thanks to the measuring rod that is included with the scale. Did you know that your height can vary by as much as two inches throughout the day? By having an accurate height and weight, you’ll be able to determine what your BMI is and if there are any changes you might need to make. You’ll have to do the calculations yourself, of course, but that’s pretty easy to do with the internet today. This slim bathroom scale comes in 4 different varieties so you can match up your visual aesthetics with your need for comprehensive weight management. It has a 400 pound capacity and features a tempered glass top for added durability. Taking body fat, muscle, water, and bone measurements, the LCD display with blue backlighting offers an easy to read interface that will give you the stats that you can really use. With memory for up to 8 users, it could be the perfect addition to your home today! At 13×12 inches in size, the platform of this scale really is its advantage. If you’ve got feet that are larger than a size 12, then most scales are going to give you trouble. The non-slip features combined with the extended size make the Ozeri Precision II work better for more people and it does its job by using just 4 AAA batteries. Most households are going to enjoy this scale and its price point. It delivers consistent results and you won’t have to worry about damaging the floor of your bathroom! If you need an affordable, reliable scale, we highly recommend this one as one of the best scales for you right now. This particular scale from EatSmart requires very little power in order to work properly. It only needs two AAA batteries and in return, you’ll get several year’s worth of use under normal conditions. Part of that is because of the improved design that doesn’t require you to wake up the scale any more, but the improved weighing mechanisms make faster results possible. Once a result is measured, it will display for about 10 seconds. What weight loss results could you achieve with the proper tools at home? By using these reviews to find the best scale to meet your needs, you’ll have a comprehensive way to track even the smallest of successes so that you can continue making positive choices. Begin your journey today with the best scales for weight loss and you’ll complete that journey at your targeted weight goal.